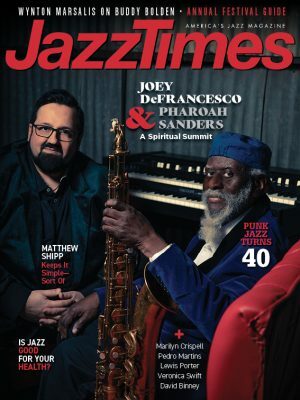 To commemorate the 40th Anniversary of this magazine, we decided to come up with a list of jazz experiences to have before you die. A veritable jazz bucket list, if you will. Our thanks to readers, Facebook fans and friends and Twitter followers for their input. Here’s our Top 40. OK, get going. Wear your JazzTimes T-shirt and pace back and forth outside the offices of DownBeat in Elmhurst, Ill.
How many have you done already? I’ve done exactly 27 of them, believe it or not, which either makes me feel very lucky or very old. I am also grateful that Keith Jarrett didn’t berate me for my respiratory distress. That’s one I’m not doing again.